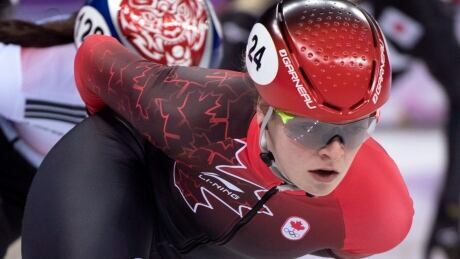 Canadian short-track speed skater Kim Boutin has won another bronze medal, this time in the 1,500-metre race at the Pyeongchang Games in South Korea. 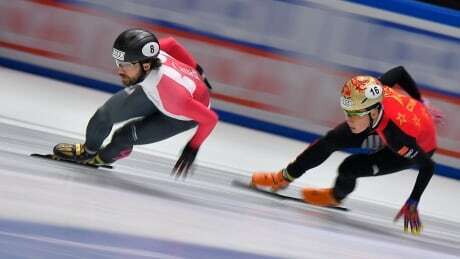 Defending Olympic champion Charles Hamelin didn't get the result he wanted in the men's 1,500-metre short track final, but he was still happy to share the moment with his young Canadian teammate — and good friend — Samuel Girard. 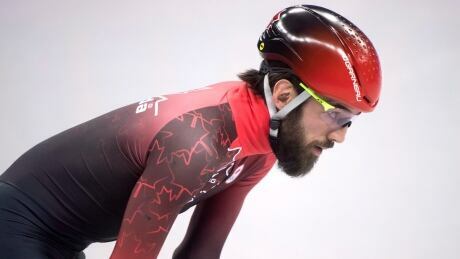 Canadian short track speed skaters Charles Hamelin, Sam Girard and Pascal Dion all advanced to the semifinals in the men's 1,500 metres at the Winter Olympics in South Korea. Short track speed skating is one of the most thrilling events at the Winter Olympics, with competitors jostling for position at intense speeds while circling a small, crowded track. Here's a guide to enjoying all the action in Pyeongchang. You are currently browsing the archives for the Sports/Olympics/Pyeongchang 2018/Short Track Speed Skating category.